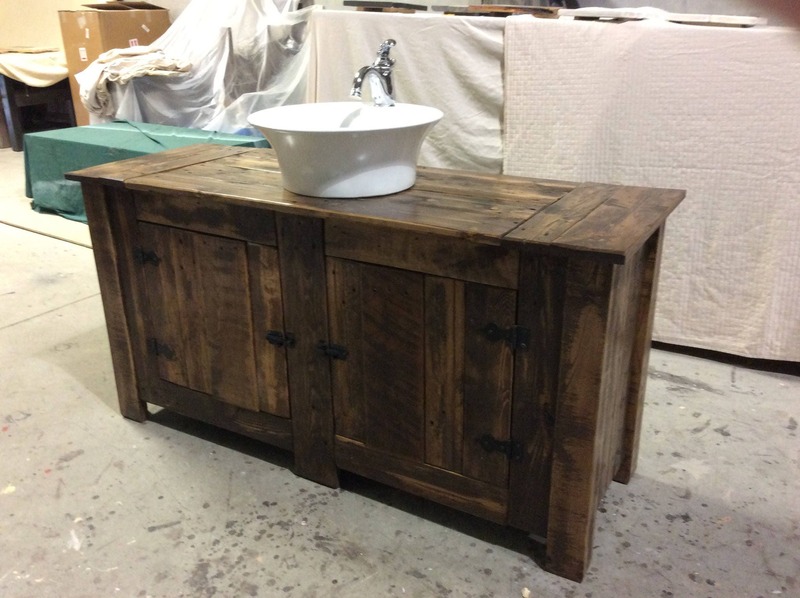 Beautiful solid reclaimed wood bathroom vanities add character and warmth to your home. 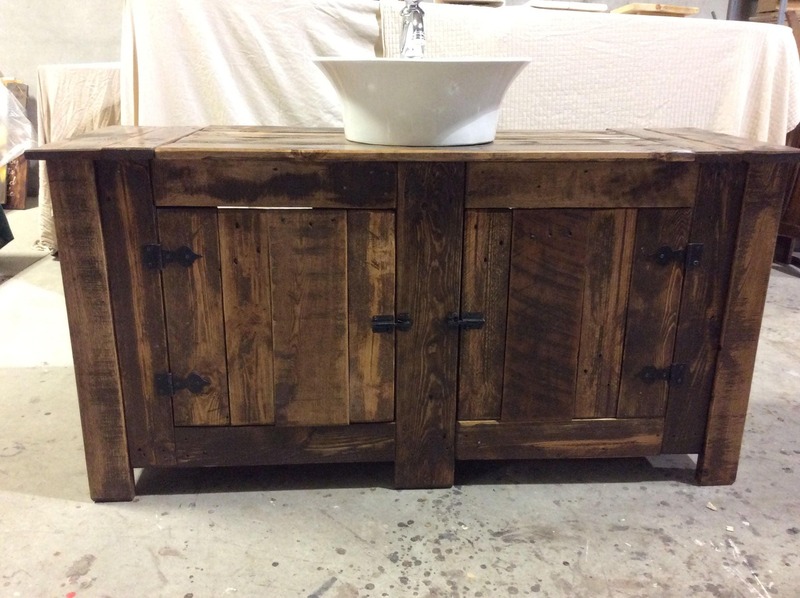 The unique look of reclaimed wood will enhance the decor of your home or cabin. These can be custom made as to size and color. Prices start at $850. 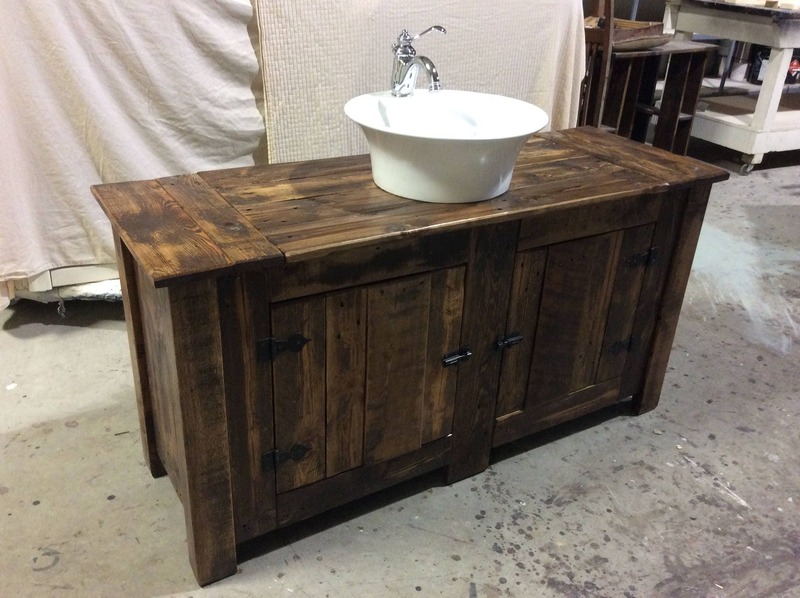 Sink and faucet not included.